London - Canny Premier League managers should be seeking to "manipulate" VAR technology to their advantage when it is introduced next season, according to analyst Rory Campbell. 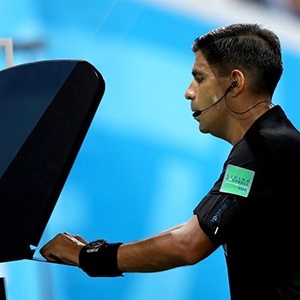 VAR (the video assistant referee system) was largely deemed a success at last year's World Cup in Russia and is being used in many domestic leagues including Spain, Italy and Germany. "If I were a manager I would be putting in huge resources as to how we are actually going to manipulate VAR -- how we can understand how to use it to our benefit," Campbell said at last week's Betting on Football conference in London. "The clubs presumably will be at the briefing for referees," said Campbell. "That would be the most important meeting for every EPL (English Premier League) manager to understand -- how each individual referee might handle VAR or be told how to handle it. "VAR is bigger than anything they are doing at the moment. "There is so much they can do to give themselves an edge over their rivals and manipulate a game. It sounds a bad word but there is a rule set and enough flexibility within them to exploit it." "Coaches that are very good at managing set-pieces and exploiting rule changes regarding discipline in the box will see an uplift in their teams and there will be opportunities there," said Llambias. "Like in NFL, teams that are well-structured and well-organised will adapt the quickest. The best coaches will make it work to their advantage." "He (the VAR referee) will not be in the middle of the pitch being called names by 50 000 people so home advantage may no longer count," said Llambias, who cited how in the NFL decisions are referred to an office in New York. "He is not as influenced by the crowd as he is away from the boos and the cries so he can make a more informed decision based on information, not the emotion of the crowd." "In rugby you know what you are waiting for, you are listening in, seeing re-runs. It adds to the drama," said Richardson. I feel football is handling it particularly badly." "Football is a hard game to do it for, rugby is more stop-start," he said. "But clearly there needs to be some indication in the stadium as to what issue is being considered."